Fine van Brooklin - Oh, Britannia! Posted on 1.11.2011 at 2.42. English culture is something that I’ve held dear ever since my childhood and London has always been one of my favourite cities in the world. In my old single days I used to travel there frequently but as it happens, now more than a decade had passed since my last visit. Although I was very excited to finally go to London again, I was also a little nervous. I was afraid that our relationship might have changed and that we wouldn’t know each other anymore. But I wouldn’t have had to worry, no no. Our rendez-vous was like hugging an old friend. 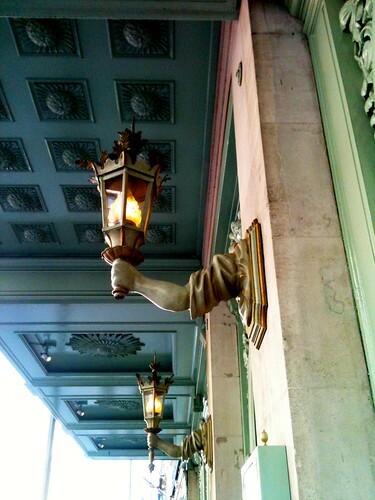 And it left me longing for the next visit. Sadly, I managed to leave my camera at home so all I was left with was my phone, but I’ll share a few pics anyway. The whole set is here. 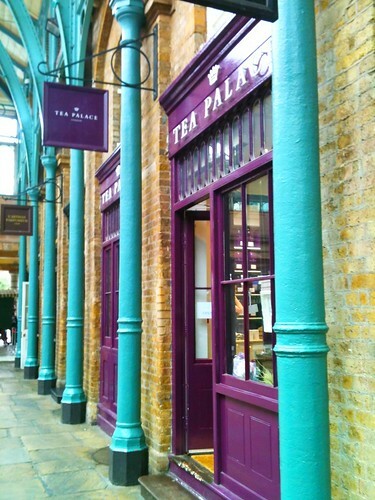 Loving the shops and colours of dear old Covent Garden. Tea Palace was very stylish. Benjamin Pollock’s Toy Shop has been in Covent Garden since the 1880’s. 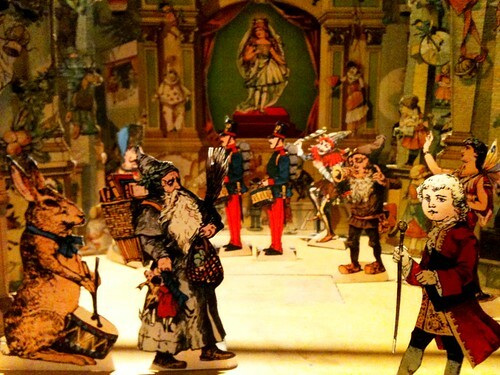 It is an absolute gem, selling fantastic Victorian style toy theatres, puppets, books… A magical place. 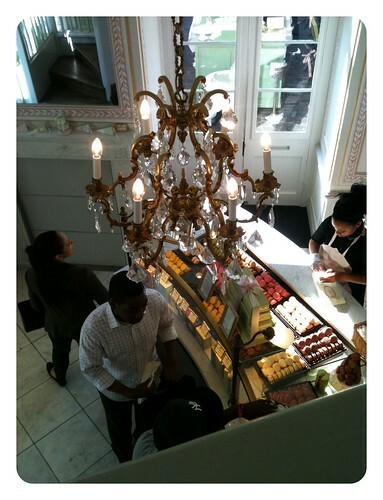 The French macarons whizard La Durée also has a shop and café in Covent Garden. Some of the most amazing pastries I’ve had in my life and a wonderfully luxurious little luncheon at their lovely terrace on a hot day. Yes, London was beautifully sunny and hot at the end of September. I admit I went a little crazy at Fortnum & Mason. Let’s just say it made my bag rather heavy that day. 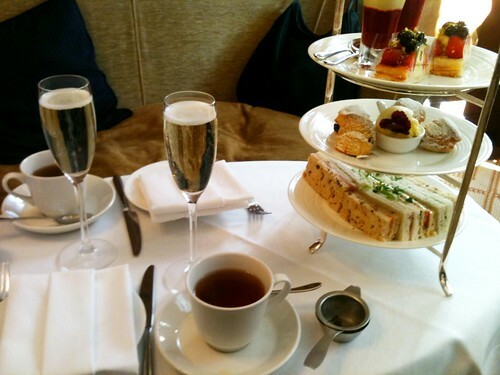 Traditional afternoon tea bliss at Hotel Cadogan in Knightsbridge. Theatre night at The Royal Haymarket with Shakespeare’s The Tempest, Ralph Fiennes in the leading role. Need I say more? This was a first for me but it won’t be the last. It was amazing. 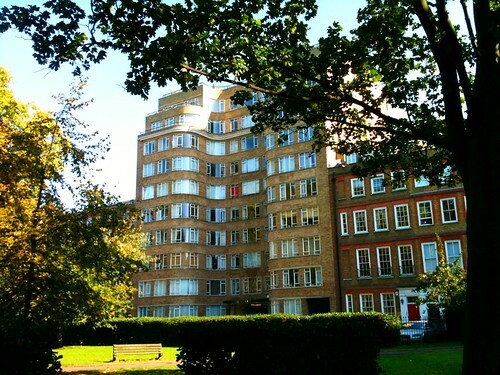 Florin Court, also known as Hercule Poirot’s house. It looked surprisingly small in real life. Beautiful house and neighbourhood, though. 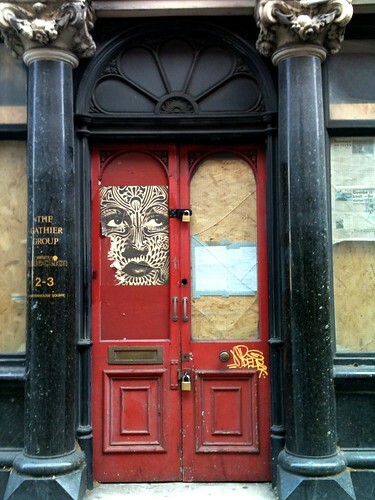 Rugged but beautiful, classic doorway featuring a cool poster, somewhere just off Barbican tube. My travelling companion was my dear friend M. who among many things, shares my love for pretty teacups, Agatha Christie and the black London cabs. We also enjoyed a lovely dinner on the first night at Andrew Edmunds in Soho, downed a jug of Pimm’s in the pub, visited Keats House in Hampstead and had at least a dozen laughing fits during those four days. When it comes to shopping for materials in London, I wasn’t quite as successful as I had hoped. 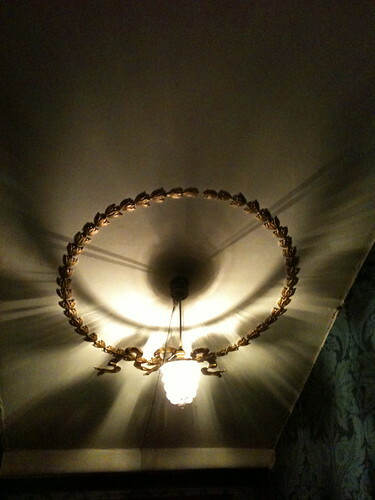 I did find a few lovely things though, and I’m working on them as we speak. More on those later. Cheerio! Tää oli ihana. Menen itse Lontooseen muutaman viikon kuluttua. Jännittää! Mun viimeisestä visiitistä on siitäkin kohta kymmenen vuotta..
En ole vielä koskaan ollut Lontoossa mutta TIEDÄN että pitäisin. Ai kun kiva, että tykkäsitte, Merja ja Kati! Neljä päivää oli kituliaan lyhyt aika, mutta ehdimme tehdä ja nähdä paljon sekä uutta että tuttua. Nyt vain seuraavaa reissua suunnittelemaan :). Emme esimerkiksi ehtineet ollenkaan kirppareille ja antiikkitoreille. Myös Itä-Lontoo kiehtoo, sitä en tunne juuri lainkaan. Teatteriinkin on päästävä uudestaan ja iltapäiväteetä ei voi enää koskaan jättää väliin. Merja, hauskaa matkaa! Kati, samaa sinulle vielä jonain päivänä varmastikin :).